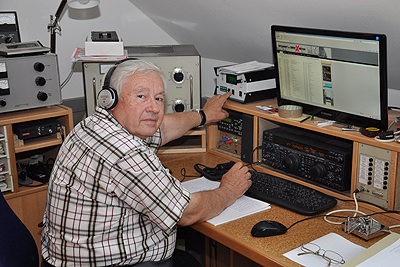 Meeting OE5 DXers in Linz : Karl OE5JKL, Oliver OE5OHO, Gerhard OE3GEA, Adolf OE5KE, Nigel G3TXF, Wolfgang OE5BWN, Max OE5NNN, Erwin OE5ERN and Fritz OE5FIN. 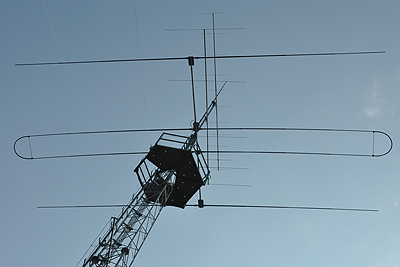 The Stepp-IR beam (with 30m-40m loop) sits at the top of a sturdy communications tower, including a handy work platform. 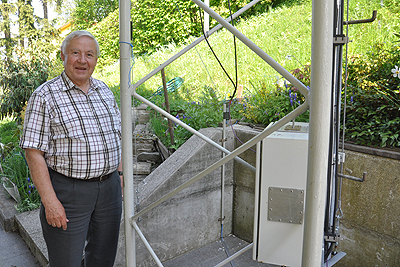 Adolf OE5KE at the base of his large self-supporting tower. 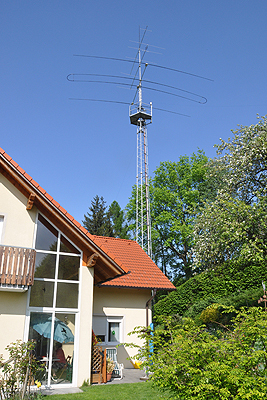 OE5KE's tower at side of the house on the edge of Linz, the capital of the OE5 region. 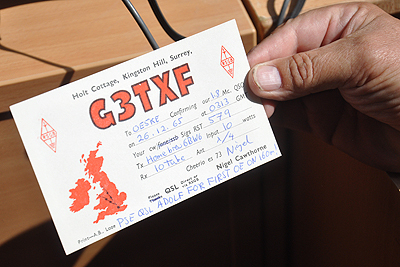 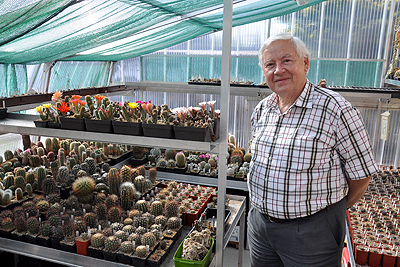 As well as being a keen DXer, OE5KE is also a serious cactus collector. 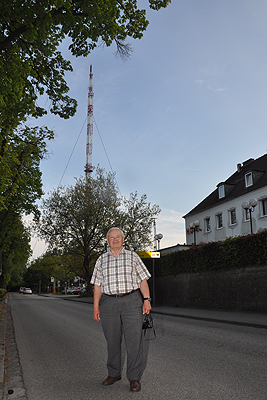 The location of the OE5 DXer meeting was next to a local broadcast tower in Linz. 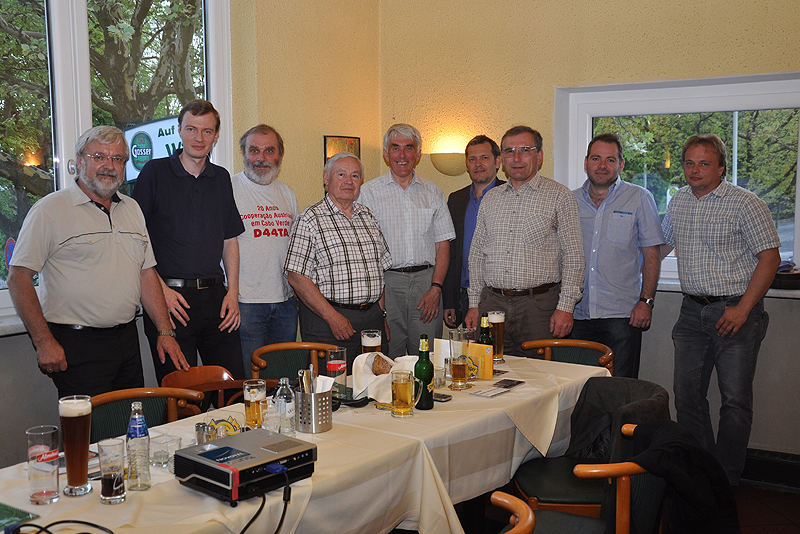 The OE5 DXer meeting was in a "Wienerwald" restaurant in Linz. 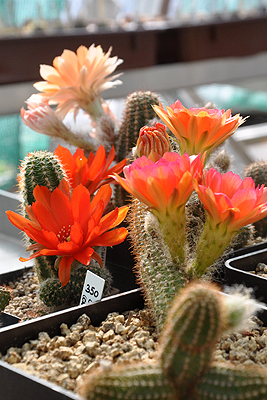 OE5KE has two large greenhouses each full with many hundreds of cactus plants in different stages of growth.